Who gives me love and guidance? Who shows me wrong from right? Who's there when I need confidence? Who tucks me in at night? He's someone always on my side. His love he never tries to hide. He's really quite a man. 'Cause this guy's much more you see. He's number one - My Granddad! 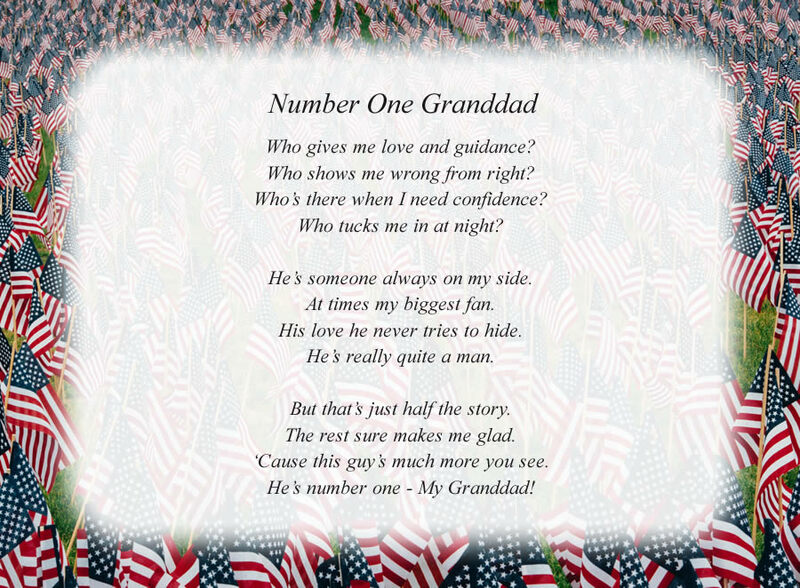 The poem, Number One Granddad, is free and printable by opening or downloading using one of the three links below.